It’s taken me some serious slurping hours and countless blurry mornings, but here is my essential guide to the best craft beer bars in Barcelona. The craft beer scene is booming here in the Catalan capital, with local breweries and brewpubs popping up all over the place. Whether you have a taste for dark stouts and hoppy IPAs or prefer lighter, more quaffable session ales, you’ll find it in abundance in Barcelona’s craft beer bars. So, amigo, salut and bottoms up! UPDATED 08/07/17: A ton of amazing new bars have opened up since I originally wrote this post (and sadly some have closed), so I’ve added more of my favourites and will continue to do so as I discover more! 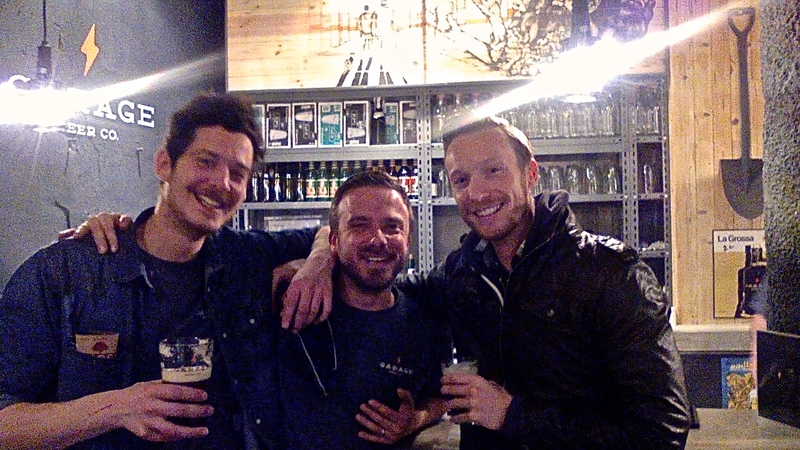 Me (far right) with the owners James and Alberto of Garage Beer Co. Probably my favourite brewpub in Barcelona (so far), Garage Beer Co. is the real deal. Jet-black walls, vintage furniture and lots of rough-sanded wood create a chic yet urban space. And, with the giant stainless steel beer brewing equipment on show out back, you can’t help but feel connected to the beer that you’re drinking. With only 8 or so taps, there’s not a huge selection of beers, but what’s on offer is always excellent and well considered. The owners James (English) and Alberto (Italian) are most hospitable, too, as you can see from my photo. What to drink: Try their home-brewed Riba beer, which is a refreshing English-style pale ale that you can drink all day, all night. Which, of course, is exactly what I recommend doing. Alex propping me up after one too many of his Belgian beauties. 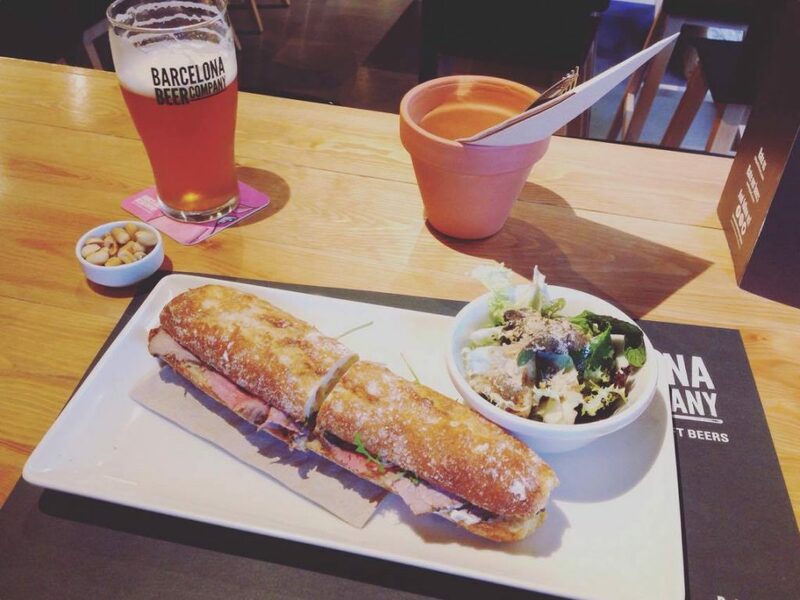 Located on the leafy street of Carrer Parlament, Barna-Brew is my go-to craft beer bar. 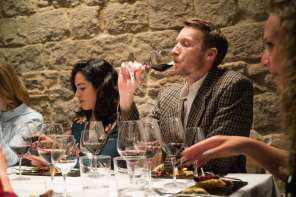 It’s the brainchild of Alex Lazarowicz, who describes it as a “Brussels-Barcelona love affair”. Many moons ago, Alex moved from London to Brussels to embark on a career in politics, but he found many distractions. First he fell in love with Belgian beer and then he met a girl from Barcelona. 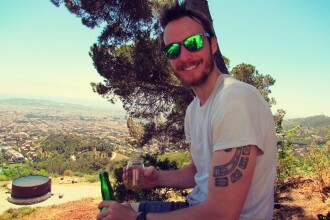 With heads full of dreams, Alex and Carlota decided to move to sun-struck Barcelona, where Alex now brews his own range of beers inspired by his passion for the two different cultures. What to drink: Ask Alex for a few tasters and he’ll happily talk you through each tap. My personal favourite is the hoppy-but-well-balanced ‘Cecín’est Pas’ IPA, followed by the Moreneta Blanche wheat beer (4.5%), which takes me straight back to my harebrained motorcycle/beer tour of Brussels and Bruges. Hungry? I highly rate the food here too. 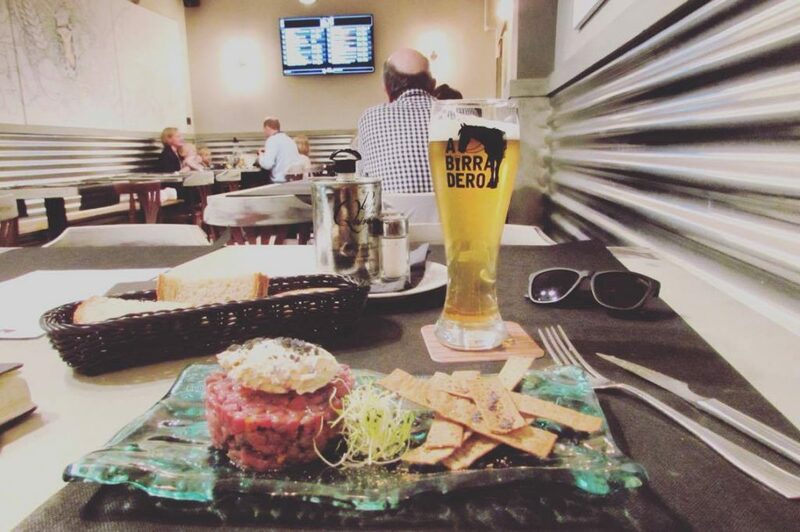 Excellent tapas offerings and the “Moreneta Burger”, which is 150 grams of top grade veal with pickles, sweet and sour red cabbage and smoky Scamorza cheese, is proper beer-drinking grub. 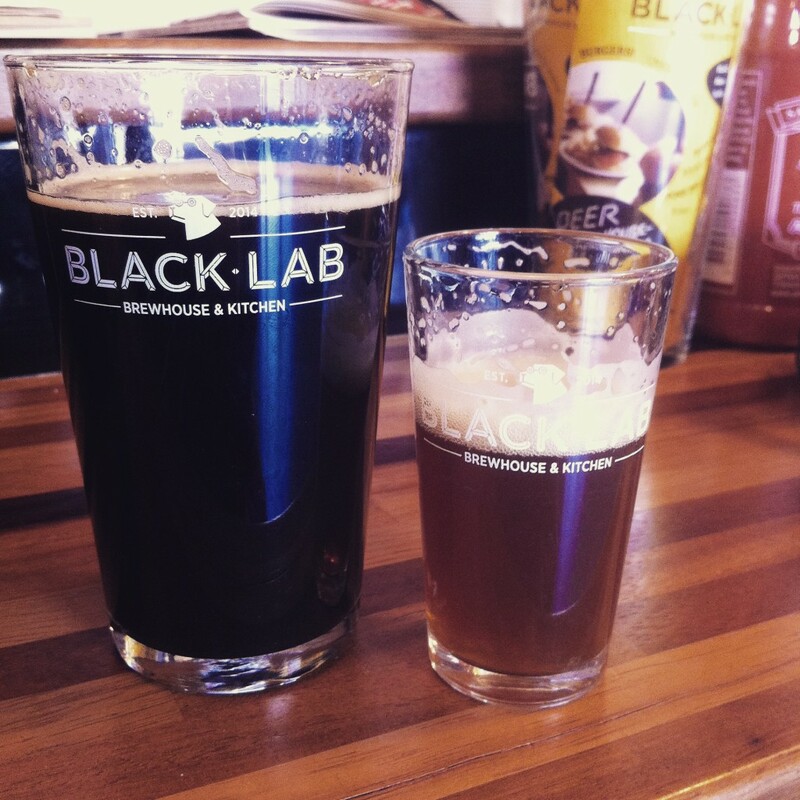 I often pop into Black Lab before (and after) going to the beach. They brew their own range of beers on site and the decadent Asian-American food – bbq ribs, burgers, dim sum and ramen – is the perfect accompaniment. And as if that’s not enough, there’s also a huge outdoor seating space and live music on Saturdays and Sundays. This is the dream. What to drink: Try any and all of their home-brewed beers. My favourites are the Claudia IPA and the Debutante American wheat beer. 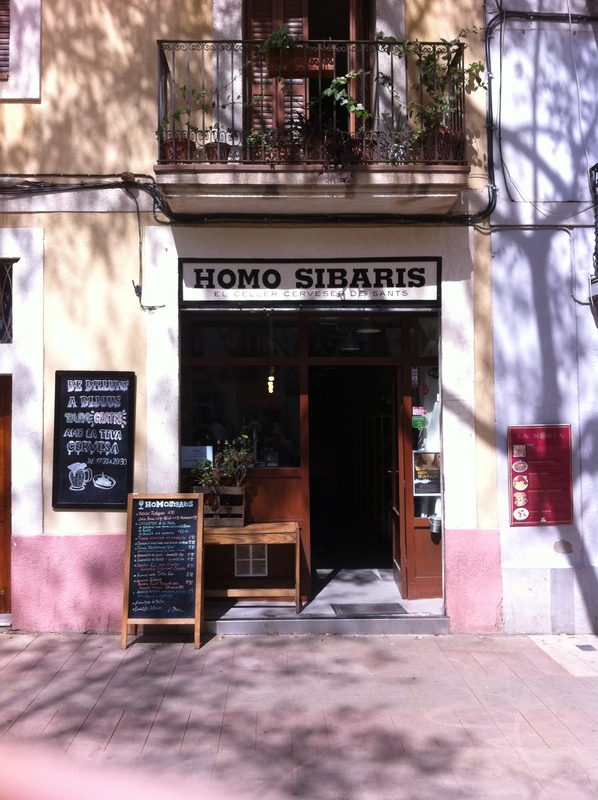 Tucked away in the lively little square of Plaça d’Osca in the unassuming neighbourhood of Sants, the Homo Sibaris bar and brewery was one of the first bars on the Barcelona craft beer scene and has been setting the standards ever since. What to drink: Although they stock a vast array of bottles from across the globe and their taps change regularly, I come here to sip on locally-brewed Catalan craft beers, as well as their mighty home-brew, “Sants”. I suggest you do the same. This Scottish brewery dominates the British craft beer market and is now serving their unique style of “equity for punks” in Spain. Their urban-chic “temple of beer” features 20 taps and is illuminated with blue neon lighting that screams “Love Hops and Live the Dream” and it has quickly become a firm favourite of the local bearded beer snobs. I also recommend the burgers here too. 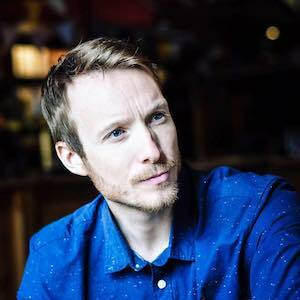 What to drink: They do have a few guest taps, typically hosting other British brews, but I suggest sampling the Brewdog classics, such as the Dead Pony Pale Ale (3.8% – good session ale), 5 AM Red Ale, and the unmissable, industry-changing Punk IPA. This intimate red-lit space is a regular haunt for local beer aficionados, expats and hipsters, who come to sip their way through the selection of 50 classic Belgian beers. Its laid-back vibe and comfortable sofas make it the perfect setting for a few serious slurps and I often come here to catch up with old friends over a few beers. They also show all the big Barca football matches too, if you’re into that sort of thing. What to drink: As a specialist Belgian beer bar you’ll find a heavy-weight selection of fruity lambics, trappists and tripels. 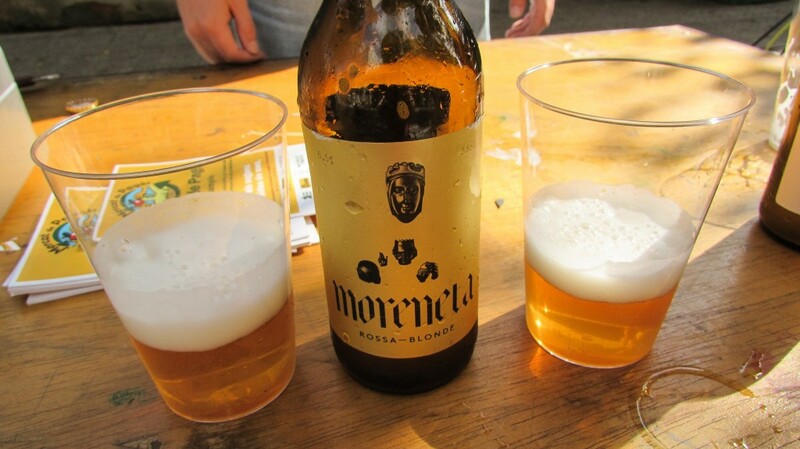 For something a bit different, try the award-winning Moreneta blonde and blanche beers from Barna-Brew (a local Barcelona brewery), who use bay leaves and other local ingredients to create classic Belgian flavours with a Catalan twist. With 30 taps gushing with beautiful beers on a biblical scale – 10 of which are dedicated to their own brew, Naparbier – there’s no doubting that this is a true temple of beer worship. And with its digital screens displaying the names and details, it can sometimes feels like you’re drinking beer in a stock exchange. I also love the food here, with proper Belgian-style mussels and a ceviche that puts the local Peruvian restaurants to shame. What to drink: Any and all of the Naparbier brews. Small and often crowded, Ale&Hop features ten taps that rotate on a weekly basis. As the name suggests, these guys are big on hoppy IPAs, but there’s always a good selection of wheat beers, stouts and porters, as well as refreshing lagers and other session ales that are perfect for sipping all day and night under the Catalan sun. The food is also very good here, with excellent pinchos and honky vegetarian/vegan dishes that will satisfy even the most voracious of carnivores. What to drink: All of the IPAs. 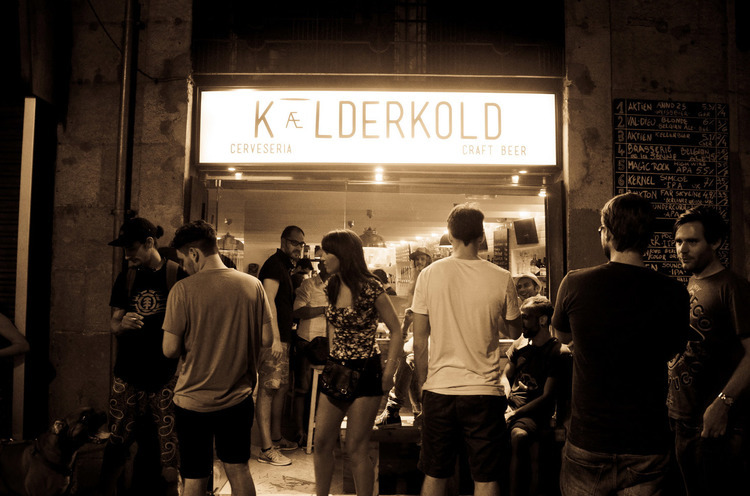 With 15 taps and bulging bottle fridges, not to mention its peerlessly central location (just off Las Ramblas), Kælderkold is one of Barcelona’s most idyllic craft beer haunts. The vibe is chilled and the long, narrow bar attracts local beer aficionados, who come to seek out new beers and sample some of the best from across Europe and beyond. What to drink: Go wild and ask the barman for something a little… different (Hint: “Beer cocktails”). The younger sibling of Kælderkold (above), Ølgod means “beer god” in Danish. 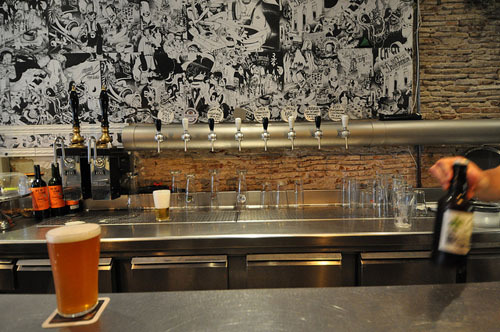 The staggeringly beautiful 30 beer taps offer a constantly rotating selection from local Barcelona breweries and beyond. They run weekly tasting events accompanied by DJs and it’s a great place to get involved in the local beer community. What to drink: Ask Alex, the friendly and knowledgable bartender with cool black dreads, for a five-beer-tasting-flight (just €15). 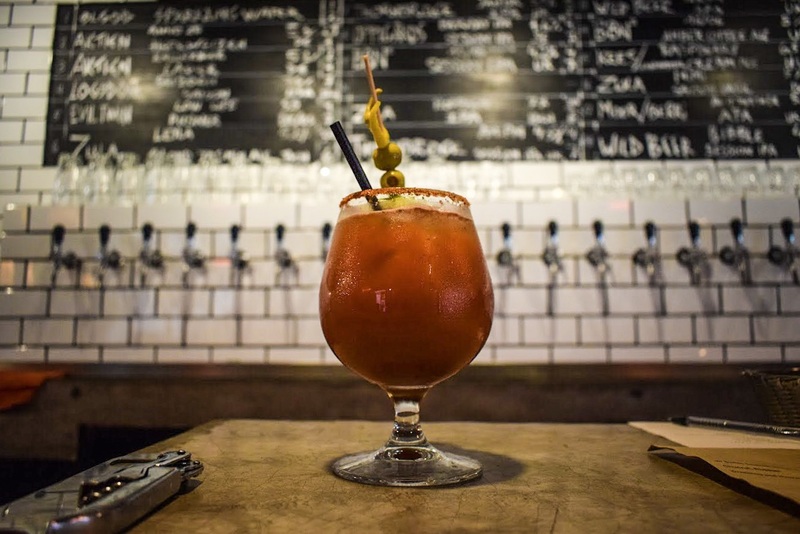 I also highly recommend the ‘beer cocktails’, which include the Ølgod Shandy, Nordic Sour and, my personal favourite, the punchy Mexican michelada, a sort of beery take on a Bloody Mary. Hungry? They’ve recently started smoking their own meats on the premises and you can now pair your beer with hearty pastrami sandwiches with Swiss cheese and mustard, or smoked brisket sandwiches with horseradish mayo and Russian dressing. There’s smoked seitan for veggies too. Nearest Metro: Liceu (Green Line) of Sant Antoni (Purple Line). Opened by the team behind the Institute of Artisan Beer (ICA) – who have helped set up over a 150 craft beer bars around Spain – it’s no surprise that this modern and refined space has become such an instant hit. 20 taps are reserved for their own beers, whilst the other 20 promote other excellent brewers from across Spain – there’s literally every type of beer from dark stouts and porters to saisons, session IPAs and more experimental brews. What to drink: Start with their Green Pils if you want something crisp, clean and hoppy, before moving onto more full-bodied flavours such as the 15 & 30 special dubbel, which is aged in sherry casks. Hungry? As well as the vast beer offerings, it’s the seductive beer-infused food menu (yep, they use their beers in almost every dish on the menu!) that really sets it apart. A collaboration between legendary Spanish brewers Naparbier and Michelin-starred chef Miquel Aldana, this is Barcelona’s first legitimate gastro-brewpub. The vast bar and restaurant spaces were styled by local design hero Lázaro Rosa-Violán and achieves a contemporary industrial feel that works for everything from casual beers with friends to group celebrations. This is craft beer gone gourmet. What to drink: There are 24 taps – 12 with beers brewed onsite and 12 championing other brewers that the Napar team know and respect. Start with the “Napar Spring Breakers” if you fancy something light and hoppy or try the “Back in Black” for something significantly darker. Hungry? The refined Catalan dishes focus primarily on “mar i muntanya” (fish and meat), and if you ask the staff, they’ll suggest a selection of beers to pair with your meal. Legendary Danish brewers Mikkel Borg Bjergsø and Kristian Keller have bars around the world now, but one of the best, I’d like to think, is right here in beer-booming Barna. This clean and airy space hints at the company’s Danish roots, with a personal service style that they refer to as “hyggelig” — cosy, welcoming, friendly. What to drink: Over half of the 24 taps are dedicated to Mikkeller brews – try the Mikkeller Eixample Pils, Wit or Brown for a local taste – and there’s plenty on offer from brewers such as Warpigs, Three Floyds, Øl and various local breweries. Hungry? The menu features everything from hearty pulled-pork or “shake your bootyfarra” sandwiches, beef carpaccio with lime and fennel sauce, and smaller beer companions such as nachos and bravas. In 2013, founders Carles, Oriol and David vowed to lead Spain out of the darkness of industrially produced beers and into the light of the craft beer revolution. Today, having made their mark on the Catalan capital with their revered range of “honest microbrews” — the Cerdos Voladores IPA is a modern classic in my opinion — the three brewsketeers (sorry) have marked the completion of their mission with the arrival of their first taproom. 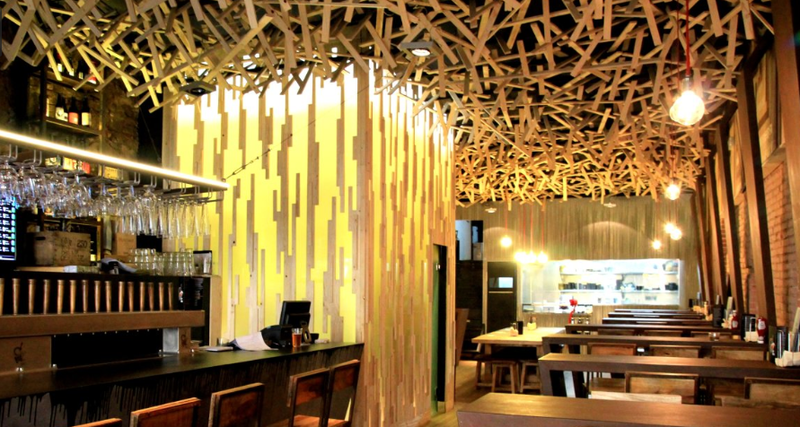 This sophisticated space showcases their latest craft creations, with 10 of the 16 taps dedicated to their own beers. What to drink: Celebrate this important victory with a bottle of “Nicotto”, a Japanese Sorachi Ale with jasmine green tea and tangerine, or sample a few different flavours with a four glass sampler. Hungry? Keep yourself level with cochinita pibil or meatball sandwiches and a considered selection of tasty tapas. I can also highly recommend the bocadillos (sandwiches), especially the roast beef! Owned by the ever charming Max Dopchie from Brussels, Imprfcto is arguably the best place in Barcelona to slurp your way through quality Belgian beers. 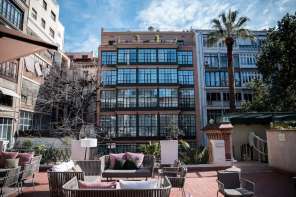 Located just around the corner from the trendy Carrer Parlament and within spitting distance of Poblesec, this huge space is a work of surrealist art – washer-machine tables and a London phone box that morphs into a toilet. A self-service tap out back makes it ideal for large groups and birthday-boozers. Huge screens also means it’s popular with footy fanatics. Great beers, great fun! What to drink: As a native Belgian, Max stocks all the classics from the likes of Chimay, Delirium, Duvel, Chouffe, Orval and Westmalle. 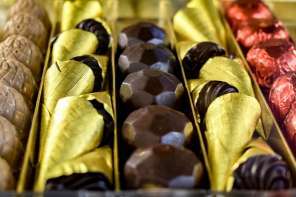 But ask him for something a little bit different and he’ll present you with all sorts of wondrous options. The Belgian imperial IPA from Viven is a good place to start. Hungry? What could be better with a few frosty bottles than a cone of proper Belgian fries slathered in authentic sauces. Cheap and supremely cheerful! After a decade living in the US, childhood friends Andres and Toni returned home to their native Barcelona, happy but filled with a sense of melancholy. 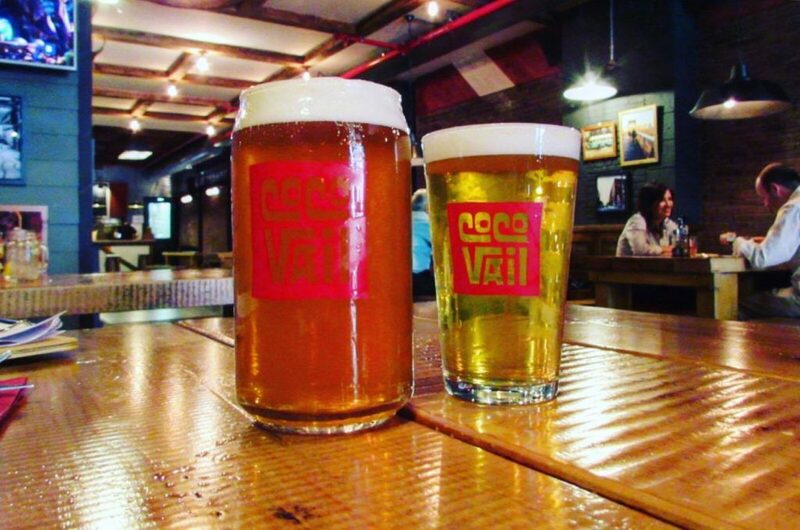 Determined to keep an ember of the adventure burning, they opened Coco Vail Beer Hall, the embodiment of their golden years abroad. What to drink: 24 beer taps offer the best from Catalunya’s brewers – don’t be afraid to ask for a taster or two. Hungry? A hearty menu features American soul food like pulled-pork sandwiches, burgers, sweet-potato fries and the house-special chicken wings. 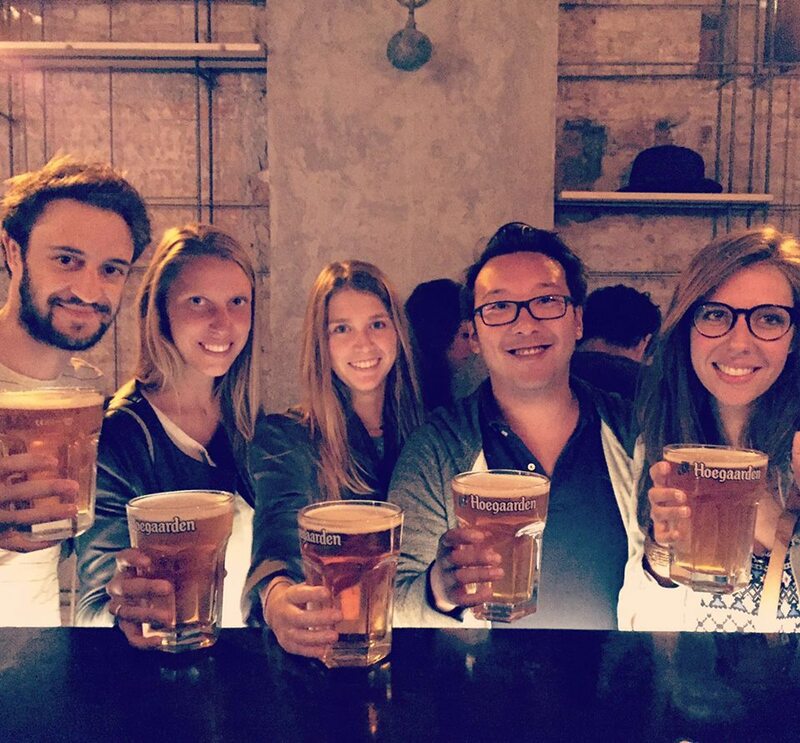 If you want a deeper understanding of what’s happening with Barcelona’s craft beer scene or simply want to make sure you don’t miss the best bits, I definitely recommend taking part in a guided beer tour. There are plenty of them about, but the following are beer tours that I have experienced myself and confidently recommend. 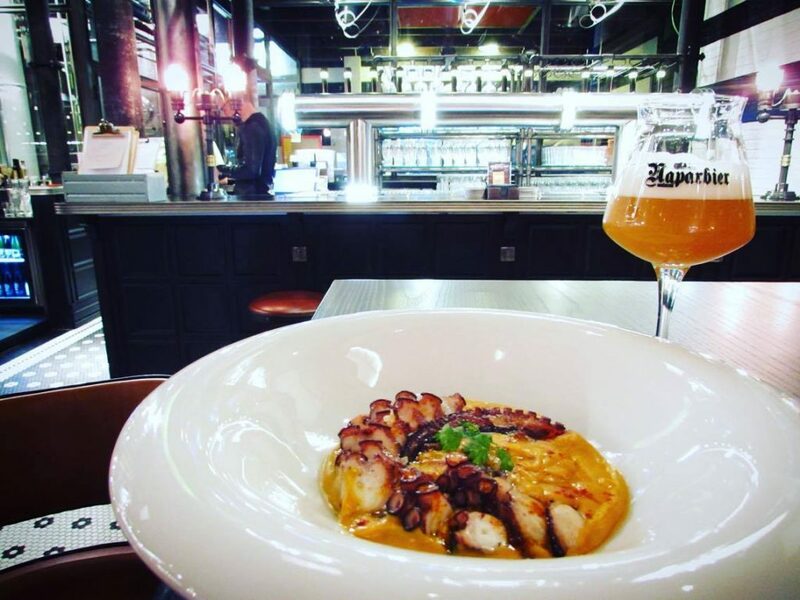 Tapas & Beers ~ Led by Oriol Jaumà from Art Cervesers, one of Catalonia’s most successful breweries, this insightful tour takes you directly to the heart of Barcelona’s beer scene. You’ll visit a number of Barcelona’s best craft beer bars and taste a cherry picked selection of local brews whilst benefitting from Oriol’s inside perspective. Whether you’re a beer noob or a brewmaster in your own right, you’re sure of a good time with these guys. 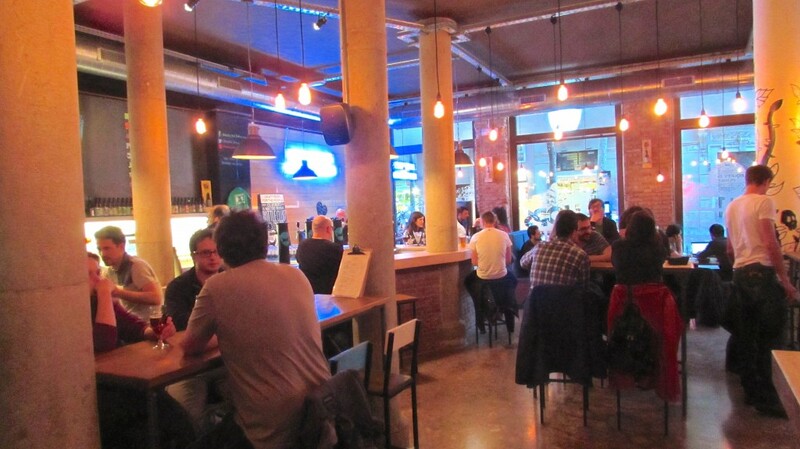 Have you discovered or opened a new craft beer bar in Barcelona? Leave a comment below or let me know on my Facebook page and I’ll check it out! la bonapinta=neighbourhood bar+craft beer pub. La Cerveteca (Gotico) has been closed for ages and unfortunately Ale&Hop has also closed. That’s terrible news, but thanks for the update. Ale&Hop is open! We did close for a month last November for building works. Thanks for the guide Ben! This place is not in your top list and it muxt be on it! Perfect, thanks XC! 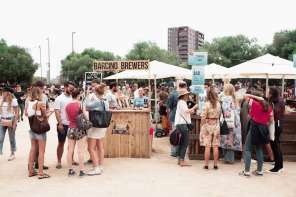 I was looking for recommendations on craft beer bars in Poblenou. Will check it out my pronto! I spent a week in Barcelona in January. In that week I went to Biercab 4 times. Amazing craft beer bar. Walked right by Garage Beer Co. They must have opened up after we left. Oh well, guess I have an excuse to come back to Barcelona (not that I needed one). I did go to a brewery in the Olympic Village near the Bogatell metro stop called Edge Brewing. It is owned by a couple Floridians. I definitely recommend checking them out. Thanks Ross! Yes, Garage Beer is a worthy reason to return. You won’t regret it, I’m sure. And yes, Edge Brewing are the dudes! 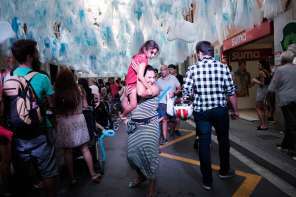 What about ‘Cerveseria Catalluna’, in Gràcia? Gracias Ruben, I’ll check it out muy pronto! This is a dangerous list to have handy! :) I’m a big fan of Garage, they have some great beer. Ha! Thanks Jessica! Yes, dangerous is a good word to describe this list. See you at the bar! 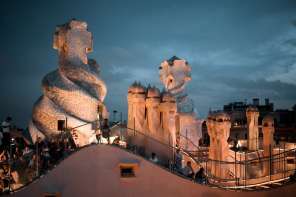 Barcelona has so much to experience that even a year is less to explore it fully, as things are changing and you have a new surprise every time you visit Barcelona and explore the places in and around the city. Great tips! Do you happen to know any micro breweries worth a visit in the wider Catalonia region? Hi, thank’s for the report. A little note only… Brew Pub Le Sec is not a Craft Beer Shop, we have bottles, yes, but we are a Brew Pub. Have you tried our exclusive craft beers (pale ale, mixtape lager) at Caravelle in El Raval (carrer del pintor Fortuny 31). Made with hops imported from Australian and Kiwi – a rare thing! PS: congratulations on your blog – very informative and relevant content! Yes, I came in the other day and had the awesome Kentucky chicken sandwich and a few glasses of your home-brew IPA – seriously good stuff! I need to check out your coffee for my coffee guide, so will be in touch! 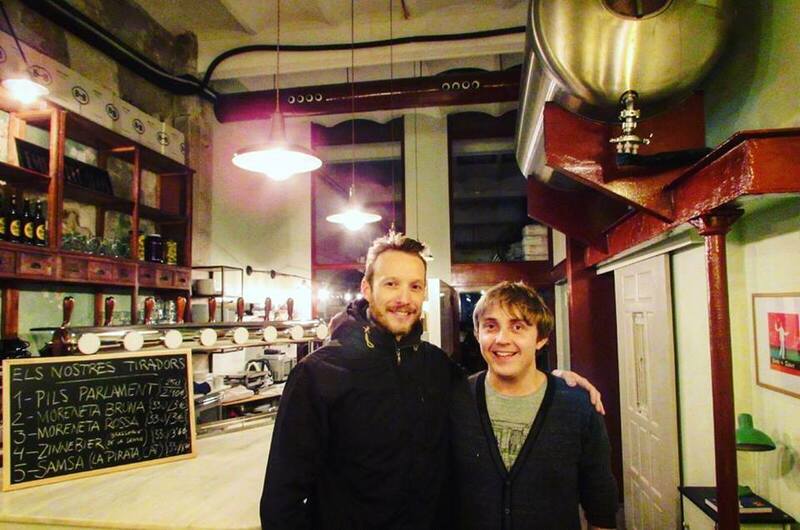 Glad you enjoyed the beer and food Ben! You are welcome for a coffee any time and I am available if you need more info about it (suppliers, menu). We are about to introduce “guest” coffees from the best roasters in Spain & Europe and are thinking of making drip filter very soon as well. Any questions email me (sebastiensalvador6@gmail.com) or pop over at Caravelle, if you’re lucky I’ll be there. Un saludo! 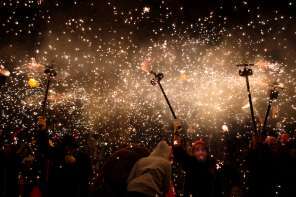 Hey, fantastic and helpful article, I was in Barcelona and loved the city but the choice of beer between Estrella, Estrella and… some more Estrella (maybe San Miguel) was a horror. Next time I’ll make use of these information. One important thing seems to be missing, the prices. Can you provide some average range, at least? Say, for an IPA or lager? Going to Barcelona for the first time in July. This list is just what I needed. Super excited to try these out. Surprised Mikkeller isn’t on there though?? Thanks for your comment Chelsea! Sure you’re going to have an amazing time. Let me know if I can help out with anything else. 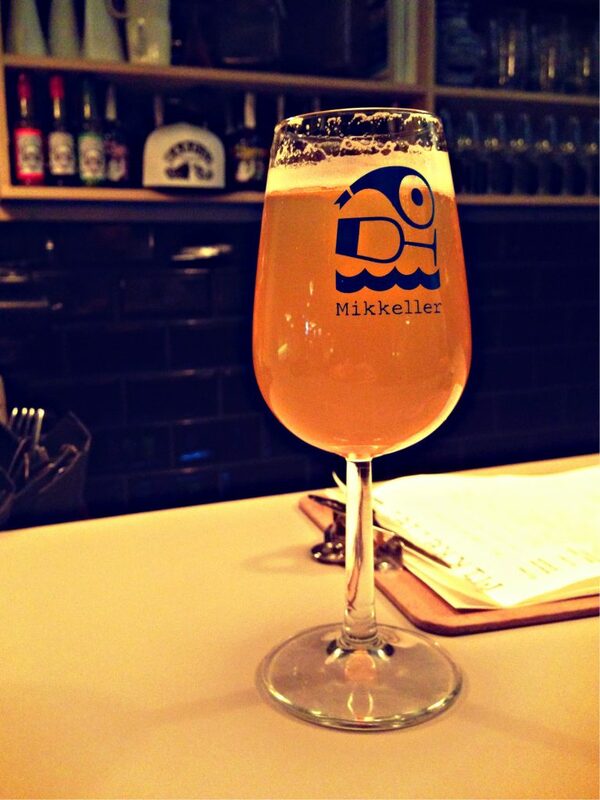 And yes, I might have to add Mikkeller – don’t think it was open when I wrote this post. 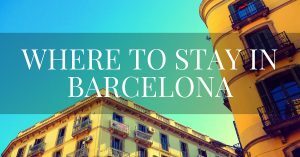 From the dazzling Modernista architecture and labyrinthine streets of the Gothic Quarter to the palm-filled parks, mountains and glistening beaches, this is my inside guide to the best FREE things to see and do in Barcelona. 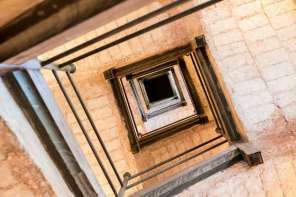 Words and photos by Ben Holbrook.